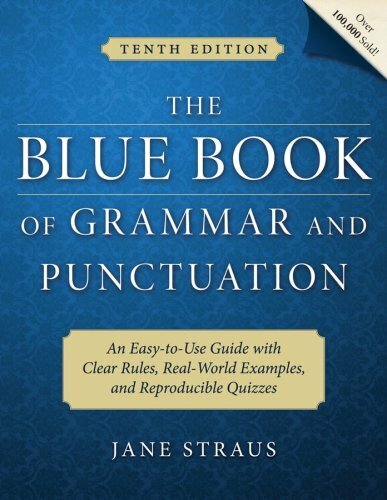 The Blue Book of Grammar and Punctuation is filled witheasy-to-understand rules,real-world examples, dozens of reproducible exercises,and pre- and post-tests. This handy workbook is ideal for teachers, students in middle school throughcollege, ESL students, homeschoolers, and professionals. Valuable for anyone whotakes tests or writes reports, letters, Web pages, e-mails, or blogs, The BlueBook offers instant answers to everyday English usage questions. It seemed like this book was going to be amazing, so I was excited when I got it.I teach a class in basic skills so this book would be perfect.I immediately opened it up and started reading. The first thing I noticed?It's available FREE online.So why did I bother buying the book? Secondly, the organization of the book is lacking.It is structured by chapters, but within each chapter all it is is a list of rules and examples.The quizzes are at the back of the book only.I think it would be better to put a quiz after each section of rules. Thirdly, the quizzes are all one after another so when you make copies you have to cut them apart or you will get parts of quizzes on the page as the one you want the students to take.It is not organized well for use in a class at all. 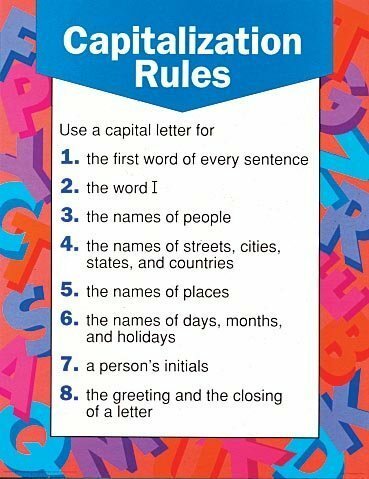 That said, the content itself is really good.The rules are clear and the examples are the best I've seen.I just wish it was better organized! The book is well written and organized.Older adults can use it as a refresher and younger people should use it to learn what has not been taught in school recently. This is a great book for at a glance info.It's by no means exhaustive, but it does the trick. This is an excellent source of information -- whether English is your first or second language.I highly recommend this book to any supervisor who is responsible for editing documents.